ChargeIt by Jay Silver Links Round Melamine Charger Plate 13"
Home > Products > ChargeIt by Jay Silver Links Round Melamine Charger Plate 13"
Set a stunning table at your formal dinner or high-class event with the ChargeIt by Jay Silver Links Round Melamine Charger Plate 13". 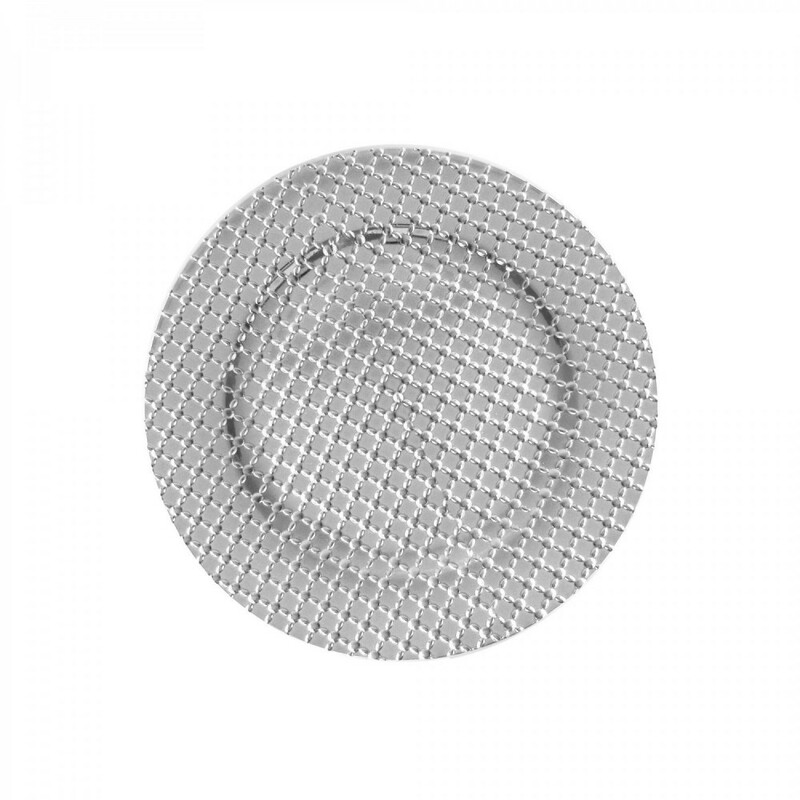 Accented with a unique, textured surface, this lustrous silver charger plate features intricate detailing, adding visual flair to any table setting. Perfect for layering with any dinnerware collection, this charger plate has ample space for any size plate, making it ideal for multi-course meals. Thanks to its high quality melamine construction, this round charger plate boasts a delicate look that belies its strength and exceptional durability. This eye-catching charger plate is not microwave safe and must be hand washed only.